After much hype, Google has finally unwrapped the brand new Google Drive. And as expected, it is equipped with many features. Basically, it is an online file-storage service, where you can upload your important files for sharing and safekeeping. Like Microsoft's SkyDrive, it offers an online storage space of 5GB for free! Now admittedly, Google has been slow in introducing such a service, considering that it a The Internet Giant. Don't let this be the deciding factor here though. As they say, slow and steady wins the race. Or does it? I mean, sure, Google has been introducing many new services and improving on existing ones, but is Google Drive any better than other storage services? A quick glance at the features shows that it may be. Aside from giving you free space on its server, Google Drive includes many exciting features like smart tagging, and image recognition. Let's see if it actually is better than others,or not. Setting up Google Drive is very easy. You will need a Google Account for this. 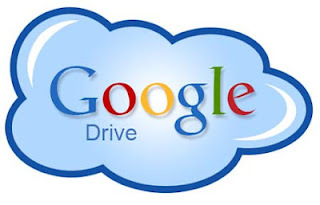 If you have one, simply start using Google Drive here. You will be guided through simple steps. Since this is a brand new service, you might be put on a waiting list for those whose Drive isn't ready yet. Give them your email so that they can notify you when your Drive is ready. Recently, we have been seeing a change in Google's business model. It has introduced services and features that are aimed at keeping visitors on its own websites. Google+ is a good example. And so is Google Drive. It has integration for all Google Product an average internet user uses, such as Google Docs, Google+, Gmail, Android etc, which is aimed at providing users with a seamless 'Google' experience. Now, you no longer have to attach bulky files with emails. Just upload them on your Drive, and send links to any emails you want. If you 'tag' your files, you can later search them based on the tagged keywords. This is a very smart way of organizing your files. Google Drive has apps for both Windows and Mac OS. But what's more useful is the mobile apps for Android devices. You can access your Drive right through your phone! Note; the iPhone app is being worked upon and is expected to come out in the coming weeks. In many areas, Google Drive might look no different than other such storage services. But Google is working with third party services to provide more features such as editing videos, sending faxes, etc. Even through services like DropBox provide some similar features, personally, I'd pick Google Drive over SkyDrive or DropBox, mainly due to the integration, the text recognition, and the ease of use. But really, it all comes down to personal preferences. So try out Google Drive, and tell us whether you like it or not! really it is a good service from google.i want to ask a simple question,in my blogger the "popular post' is not showing the actual data,i have selected the popular post for 7 days but it always shows the popular post for the hole year.how to correct this thing. You're misinforming users that think that Drive works by invites. As an established blogger, you shouldn't be doing that. Wonderful info, thank you a lot. I really love this article, have a nice day. Great Post Google has always start some thing extra ordinary! Thank you so much for sharing this! I have already download the desktop app for windows version and synced some of my files to check how it works with friends and partners!! !Keep up the good work!!! I thinks no need of invites, just login with you Gmail account and start using ! Wow, the text on image recognition is the big deal. That really lifts it higher than other services.